Spring Run Off is in Full Swing But You Don’t Have to Quit Fishing! Fishing has been good as of late, despite spring run off. Mark Adams shows off a beautiful rainbow hefooled with a Baetis nymph a few days ago.Tailwaters are your best bet this time of year. Here is an up-to-date list of river levels on some of the most popular fishing destinations in Colorado. 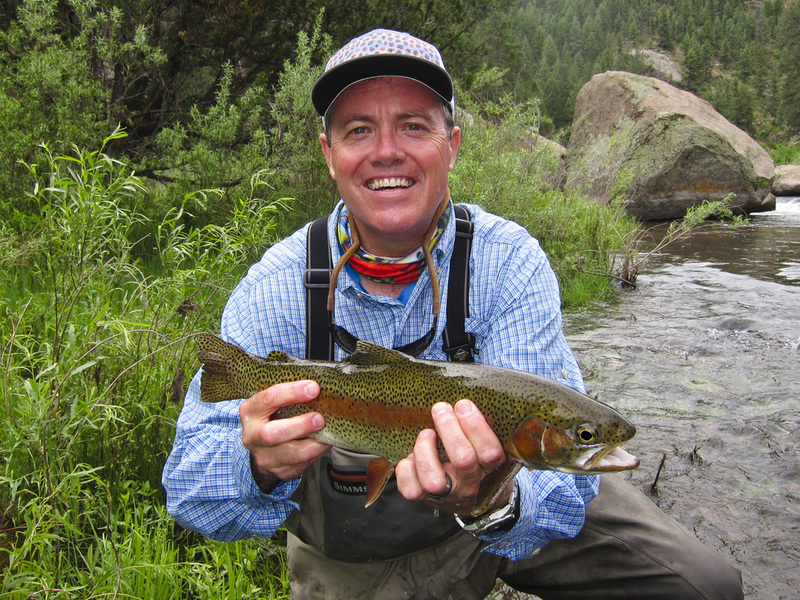 Pat Dorsey is an author and fly fishing guide. He is a co-owner of the Blue Quill Angler in Evergreen, Colorado.